New York State is home to the bobcat, a wild cat species seen throughout upstate New York. Historically, the Empire State was also the native range of two more wild cat species, the Canada lynx and eastern cougar. However, the Canada lynx is now extirpated in New York - meaning it lives in other parts of the world, but not in New York - and the eastern cougar has been declared extinct. Bobcats are frequently sighted in New York State, especially in mountainous regions such as the Adirondacks and Catskills. 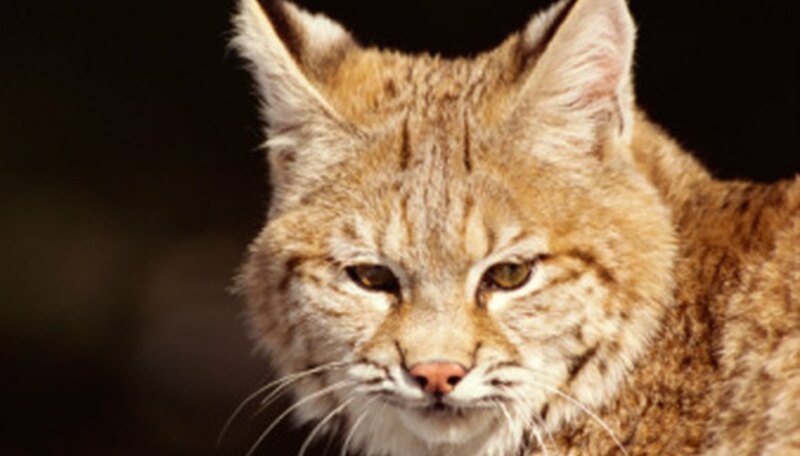 The Bobcat is not endangered or threatened in New York. It is a typically nocturnal cat that measures 3 feet in length. In the past, the Canada lynx lived in New York, or possibly only passed through New York during migrations, but now its habitat in the continental United States is limited to Maine, Minnesota, Washington and Montana. It is approximately 3 to 4 feet in length. The eastern cougar was once an inhabitant of New York State, but has been extinct for at least 70 years. The most frequently seen wild cat in New York is the bobcat, or Lynx rufus. This wild cat is found throughout the mountainous regions of the Empire State, such as the Adirondacks and Catskills. Bobcats are also seen in western New York counties. As of 2012, the bobcat is not listed as threatened or endangered in New York. As adults, this feline species grows up to approximately 3 feet in length. Bobcats possess short tails, which are 4 to 8 inches long. Bobcats are usually nocturnal animals, but have also been seen during the daytime. Whitetail deer and squirrels are some of the bobcat's common prey. The Canada Lynx, or Lynx canadensis, is a larger relative of the bobcat. When they fully mature, these wild cats grow to approximately 40 to 45 inches in length. Historically, the Canada lynx may have been native to New York, although it is also possible that they simply passed through the state frequently, in their typical migration pattern of up to several hundred miles. Due to habitat loss and overhunting, this species is no longer found in the Empire State. In the present, the Canada lynx is only native to Maine, Minnesota, Washington and Montana in the continental United States. Deciduous forests are the natural habitats of Canada lynx. Also known as mountain lion or catamount, the eastern cougar, or Felis concolor couguar, was once one of the most common feline subspecies in North America. This cat's native range included New York during that time. However, the eastern cougar has been extirpated in New York and is believed to be extinct in the wild for at least 70 years. Male eastern cougars grew up to 8 feet, while females reached 6 feet long. Easter cougars became extinct due to hunting, habitat fragmentation, deforestation and urbanization. In 2018, the eastern cougar was removed from the Endangered Species List because it was widely acknowledged that the species has long been extinct and as such, cannot be protected by the Endangered Species Act. The New York State Department of Environmental Conservation, or NYSDEC, is a branch of New York's state government, and its primary focus is the conservation of the state's nature and wildlife. Underneath the NYSDEC's scope is the preservation of wild cats. NYSDEC's plan to preserve big cats and other wildlife is by preventing pollution and controlling the state's water supply. This group also lobbies to end overhunting of wild cats. The New York-based conservation group Panthera not only battles for the preservation of cats in New York, but throughout the world. This group focuses particularly on big cats, such as cougars, jaguars and tigers. Panthera is a public charity and its proceeds go toward research and raising awareness for the preservation of big cats. Davis, Skip. "What Types of Wild Cats Live in New York?" Sciencing, https://sciencing.com/types-cats-live-new-york-8231986.html. 24 April 2018.